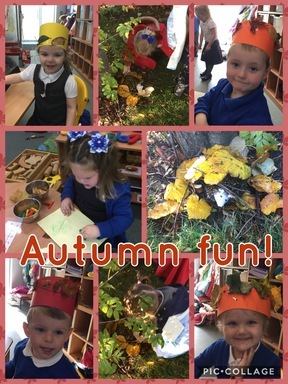 This week in Nursery we have been learning all about Autumn. We visited Jesmond Dene to go on an Autumn trail and meet the animals – thank you to all our parent helpers. We then made crowns using the leaves we had collected. 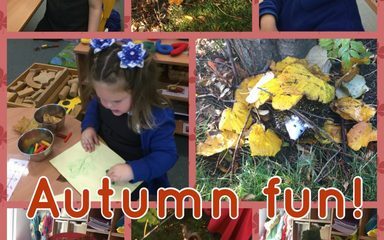 We also made houses for Harry the hedgehog and painted Autumn trees. Have a lovely half term everyone!